House Minority Leader Bradley H. Jones, Jr. (R-North Reading) is calling for the creation of a task force to review all unfunded mandates the state currently imposes on public schools and to develop recommendations for curtailing this practice. Representative Jones offered the proposal as an amendment during the first day of debate on the House budget for Fiscal Year 2017. The amendment was approved on a voice vote on April 25. Under Representative Jones’ proposal, the Educational Mandate Task Force will review all state laws, regulations and directives that impose requirements on school districts, including mandates that require preparing and submitting reports and data to the Department of Elementary and Secondary Education (DESE). In addition to identifying the total estimated costs associated with these mandates, the task force will also be asked to develop recommendations for streamlining, consolidating or eliminating any mandates or reporting requirements that are outdated, duplicative or unnecessary. Between 1995 and 2008, DESE added 4,055 new documents and directives for educators and administrators. DESE added an additional 5,382 documents between 2009 and 2013, an average of about 3 or 4 new directives per day. The task force will consist of 11 members and will be co-chaired by the House and Senate chairs of the Joint Committee on Education. The Commissioner of Elementary and Secondary Education will also serve on the task force, along with a legislator appointed by the Senate Minority Leader and a legislator appointed by the House Minority Leader. 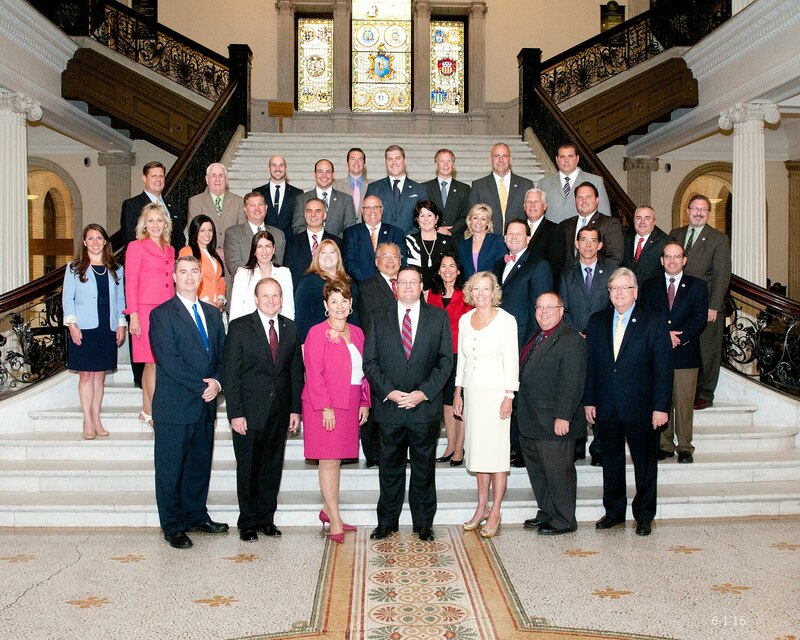 The six remaining members will be appointed by the Secretary of Education, and will include representatives from the Massachusetts Association of School Superintendents, the Massachusetts Association of School Committees, the Massachusetts Association of School Business Officials, the Massachusetts Secondary School Administrators’ Association, the Massachusetts Elementary School Principals’ Association, and the Massachusetts Administrators of Special Education. As part of its review, the task force will be required to hold at least one public hearing. A final report containing the task force’s findings and recommendations will be due no later than one year after its initial meeting. The House will continue to debate over 1300 proposed budget amendments this week. The Senate is expected to release its own version of the Fiscal Year 2017 budget in mid-May.